Many entrepreneurs and small business owners don’t realize the huge commitment writing a blog can be until they start one. You finally establish your domain name and hosting. You’ve got a business to run and you’ve got ideas for your blog. Overwhelm takes over! A blogger needs to be productive and efficient with creating their content. What’s the blog secret? Tools! Lots of magical tools that can help any blogger become a better blogger. Let’s get to them! Every blogger has a process and tools to help make that process go smoothly. These tools are the best tools to get your blog started and/or help a veteran blogger be even more awesome. Ideas! You’ve got so many ideas to write about but a spreadsheet is not going to work. I mean it could and sure you can gather ideas there and fiddle with columns… blah! There is an easier way to have your ideas shown in a clear concise way that you can let others see, comment, and work on collaboratively. Trello is pretty amazing! It’s simple for project management and can be used as an editorial calendar. It’s almost like having notecards placed in columns with the ability to add links, photos, and tag people on your team. If you have a team, you can have boards listed with your blog process. For example, the first list can be for ideas, the second list is for approval, the third list is for completed blog posts. Under each list, you’d add a card for an idea or simply drag cards to each list as you progress through the blogging process. Trello users all have their own way to make it work for them. You’ve got the blog post topic but you’re still not sure how to present it and you’ll want to make sure that it’s going to hit your target audience. SEO and blog content go hand-in-hand. You’ve got to make sure you’re searching for the best keywords for your industry. Buzzsumo is a popular database that allows you to do content research by filtering keywords for articles. You can see what blog posts or articles have the most shares with your blog topic. This will help you get a better idea if your blog post idea is a sought-after topic. You can also find influencers related to that particular topic. Google Keyword Planner is a definite place to check for keywords and to save them directly to your analytics. Can’t go wrong with Google tools! SEMRush is an incredible tool! You can do topic research all within the platform where it provides a multitude of resources and linked articles. There’s a keyword magic tool and analytics. The headline of the blog matters! You’ll want to make sure it’s sprinkled with your keywords but it has to be catchy and emotional. People have to feel some sort of emotion about your blog headline in order to click over and read the post. There are a couple of headline creators that help generate ideas for the blog post title. It may not be a perfect headline but will get the ideas flowing. BlogAbout is super easy to use just type in the topic idea and it starts popping up headlines. HubSpot Blog Idea Generator is similar but you can work with 3 separate keywords and it’ll generate several headlines to choose from. Once you have a headline, you can test it out and have it analyzed with this amazing tool which breaks headlines into a three-step system: the best type of headline to convert, word balance (common, uncommon, and emotional), and character length. CoSchedule is amazing to guide bloggers with creating the perfect headline. The most important part of blogging is the writing part. If you don’t write then the blog post doesn’t exist. Some business owners get a bit skeptical if they can actually write a blog post because they have bad grammar and their spelling skills are not the best. In comes Grammarly to the rescue! Grammarly is a writing assistant app that you can either use directly on their site by copying and pasting or uploading your blog post into the desktop app. Even better is their browser extension! Everywhere you go on the web your grammar is checked. You can have it enabled to check your emails as well. It’s a must-have for blog writing. Keeping distracted-free is key when writing. If you need to block annoying notifications, it’s best to go into your browser notification settings and edit the website you’d like to block or remove from being notified. Turn your phone off too! Let’s get to the tools on the blog with WordPress. Around 19,500,000 websites on the entire web use WordPress, there are 50,000+ plugins that can be used to improve a blog. However, you only need a few to get you started to become a better blogger. Social Warfare is an incredible tool for sharing blog posts and a super fast way to share images with your posts. Sumo is an awesome tool to build an email list with list builder pop-ups, welcome mats, and a smart bar, which are options to customize your blog to attract and invite readers to sign up to your email list. Sumo also has social sharing capabilities. Yoast SEO is amazing to keep visuals in order for featured blog images and ensuring what images you’d like to show up on social shows correctly. It also keeps SEO in line with each blog post so you have a checklist of SEO tasks that need improvement to work on. When you get the green light you know you’re all set for SEO. It also checks readability to make sure your writing is on track and flows for reader experience. It’s a powerful tool. Loom is fantastic to show off quick screen share tutorials. They can be embedded on a website, linked, and shared on social media. Super fast and easy with the browser extension. Stencil… we humbly have to include this amazingly super fast social media graphics tool to the list. Bloggers love to create blog post images and social media images in the most efficient way. Stencil is designed to be fast and easy. Screencast-o-Matic is an incredible screen share tool for tutorials and makes creating GIFs of tutorials easy. 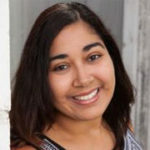 Show off product usage in your blog post. Show action shots with GIFs. Once you create amazing visuals you’ve got to keep them organized on your computer. It’s much simpler to keep them in the cloud using Dropbox or Google Drive. Visuals are incredibly important for blogging. Be sure to use tutorials and images throughout your blog post and, of course, have visuals available for social media sharing. Since we’re on the topic of social media, let’s go through a few tools that are great for social media sharing. Once your blog post is completed then you’ve got to share it with the world in order for it to get read. There are so many social media tools and schedulers to choose from but we don’t want to overwhelm you with too many options. 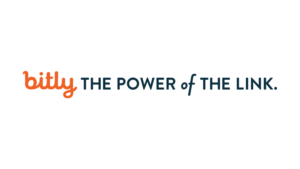 Bitly is super helpful to shorten links and keep track of them. You can also customize them with your business name. 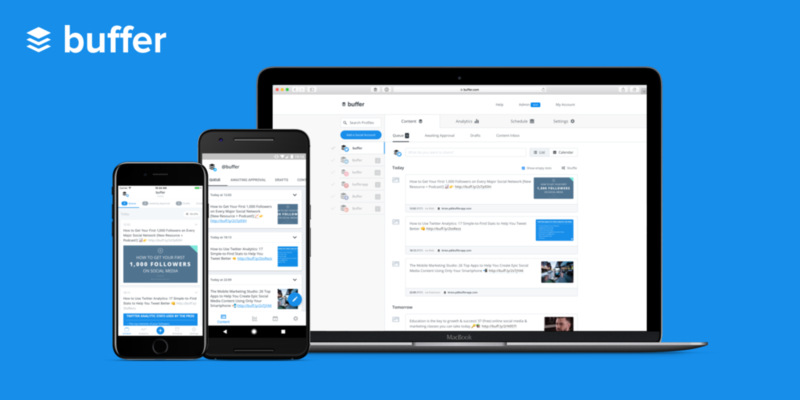 Buffer is a simple social media scheduler that has impressive analytics that tracks how your blog post shares are doing. They have an awesome browser extension that you can use for articles that you enjoy reading and would like to share with your audience. A simple click and it’s in your queue. PLUS Buffer is integrated with Stencil so it’s even easier to share your social media graphics. We love to Click to Tweet! It’s a fun and easy way to tweet a blog post out. Use a catchy phrase, statistic, question, or interview answer from your blog post to transform into a clickable tweet. Oh, they have a handy plugin as well! 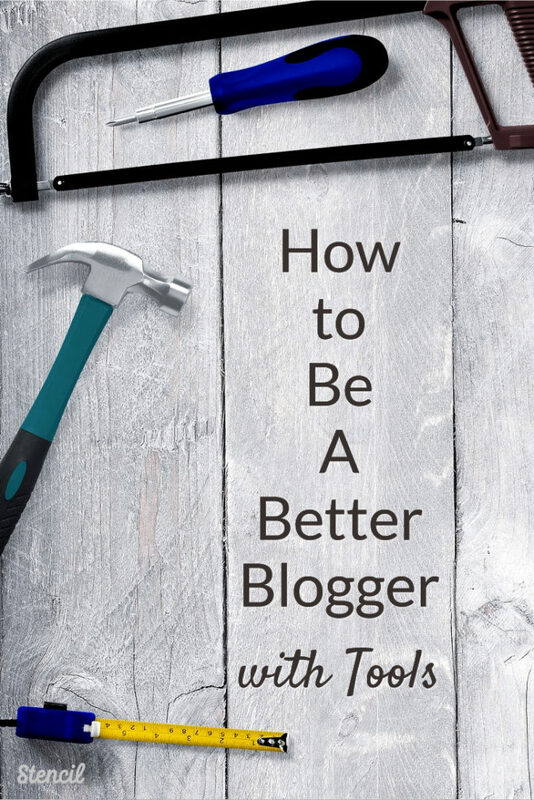 Get the tools to be a better blogger! MeetEdgar is a robust social media scheduler that can rotate evergreen blog posts and categorizes all social media content. Makes scheduling so much easier! It works best with Facebook, Twitter, LinkedIn, and soon Instagram. Ever wondering if anyone is talking about you? I mean… there isn’t a tool on getting gossip about you from your in-laws. Sorry! However, there is a way to do social listening to see if your brand or business name is mentioned on social media. Social Mention is an easy tool to use, it’s free and has a quick analytical view of how your brand is mentioned. Twitter chats go so fast on Twitter you don’t want to miss anything! That’s when TweetChat comes in to save the day. You can pause it and resume when you’re ready. No worries on forgetting the chat hashtag, it automatically places it in the tweet. Let’s get to the next blog distribution tool. You can’t just rely on social media platforms to spread the word about your blog post. Email marketing is impactful and can be the best investment you will make for your business. Once you use a lead building tool to help gather email subscribers, such as Sumo mentioned earlier, you now have access to email your audience. You’ll provide them free access to your blog posts along with behind the scenes information or storytelling to give them an insider’s look at your brand. Email marketing is pretty powerful! You can get the details on how to boost email conversions here. Campaign Monitor is a robust tool and very easy to use with segmentation of different email lists. It also captures a worldview as your email campaign goes out to subscribers. Very cool! Convertkit is an email marketing tool created for creators. Many entrepreneurs rave about their customer service and having easy switch overs from other providers. MailChimp is a great email marketing tool, especially for businesses with products. It integrates with ads and landing pages. Many entrepreneurs and small business owners usually start with MailChimp. Now we’ve finally come to analytics. This is where you see all your hard work and results come together from your blogging. Analytics will help you determine what your audience likes to read therefore you adjust your content calendar from the data you gather. Google Analytics is the foundation of analytics for your blog. Visit it regularly to see how and which blog posts are being viewed. Trying to pare down blogging tools is difficult because there are so many tools to try out. The biggest tip I can offer is to give a tool a try but if it takes more than a day to truly master then it’s not for you. Move on to the next one because there’s a tool for every blogging task. Once you have the set of tools that work for you then blogging becomes so much easier. Do you have any tools that help you become a better blogger? We’d love to hear from you. Let us know in the comments.